You tube was something I immediately dismissed the first time it popped in my mind. I had been blogging for a year, with little to no results showing on my stats, and was seriously struggling, trying to get noticed. It's weird that 2 years later, I'm actually doing this. In fact, every time I think of the the Journey to come, I get half excited, half scared but knowing that you guys will support me helps me believe things will work out just fine. 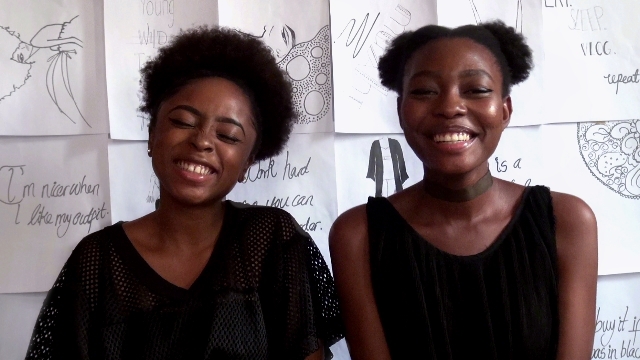 Yesterday, my best friend (Seyi) and I posted our first video on a you tube channel we just started. Seeing as I'm a very detailed planner, this you tube thing basically took my best friend and I a year to figure things out. The process was quite interesting and I learnt a few things along the way. I can't stress this enough, it's very key. It's important to research every little detail so you won't find yourself fumbling in the dark. We did two types of research during this process. Firstly, we researched basic things like "How to start a You Tube channel" and then moved on to "You Tube SEO". The other type of research we did was hands on research, we watched a lot of videos. I watched over 40 videos every week to see practical applications of our research. We then had an idea of we wanted to do. We, for example, needed to get lights, plan out our video schedule, plan out how we'll be meeting as we lead very different lives, make a backdrop, scout locations, etc. This makes the process easier and more organized. This goes without saying. We spent less than 5000 Naira because we decided this was going to be a very low budget production. We had to learn how to make videos and how to edit them. Seyi made lights for the channel because, low budget. The lighting is not quite good for now but as we figure things out, the channel will look more professional. We tested our video making skills and our editing skills first to see how we could we improve, to see what we needed more knowledge on and so on. Just a general preview to see if we were ready to go through with this. 6. Create. Invent. Do new things. Just do it. It doesn't matter if you think you're not ready, if things aren't perfect or exactly how you want them to be. Starting is the hard part and even if things are imperfect, with time, they'll get better as you grow. You can Subscribe here, please support your home girl. We need about 100 subscribers to get a custom URL so please, Subscribe! We'll be posting new videos every Friday. How do you go about doing new things? Leave a comment, I'd love to hear from you! I'm so so proud of you both for doing this!!! I'm going on YouTube as soon as I'm done with typing my comment. But does it mean you'll stop blogging and only vlog? 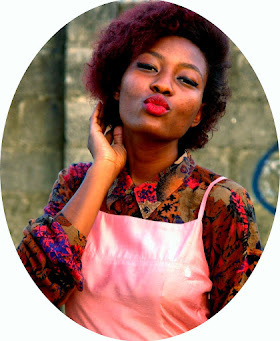 Your blog inspires me actually. I'm still here, I'll be combining blogging and vlogging. Cant believe you did a year long research! Welldone! I have def subscribed. What I learnt is that done is better than perfect. That's usually my process with things now after listening to Lavendaire on Youtube. Better done than perfect! Mwah! It was more like research on how we were going to improvise because low budget as well as combine it with other things. Thank you Torera! Love your first video! Hey dear! Good one, wish you all the best. You and Seyi are a great team! Glad to have you back! And congratulations on the YouTube channel. I love the videos you have up especially the Valentine's Day lookbook. Keep up the good work!